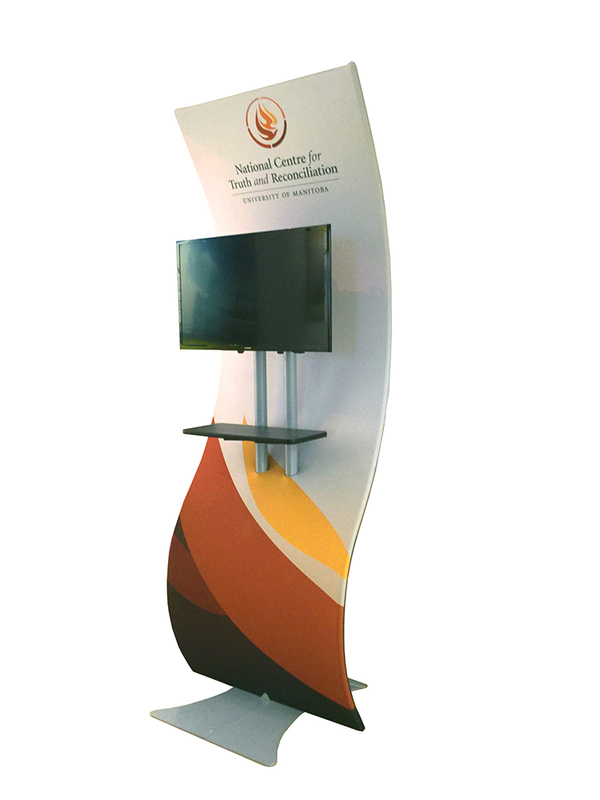 Bring event-goers closer with the unique look of our multimedia kiosks. Built with the highest quality material and eye-catching design, potential customers will be drawn in by the style and also by your choice of monitor displays, touchscreens and video platforms. 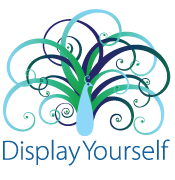 They’re interactive, informative and perfect for your brand! 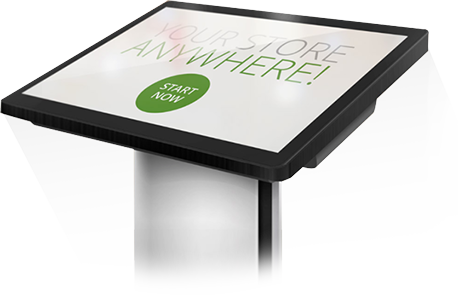 Consider the power of adding an EloView touchscreen to your trade-show booth or your office. Available in small, medium or large screens (ranging from 10” to a stunning 70” size) EloView devices are sure to grab your audience’s attention, with interactive “hands on” experiences. 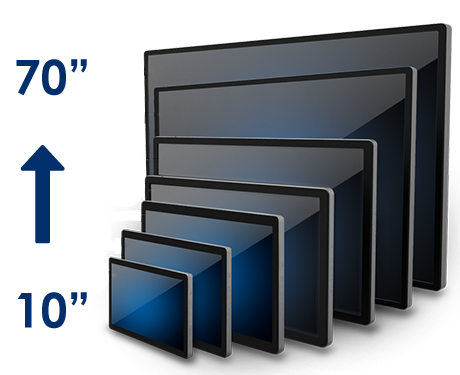 Dimension Display can take an existing website or presentation, and adapt your content into a rich, touchscreen app. Let your customers explore your brand….